Aarhus UniversityThe indri of Madagascar — the largest living lemur — is critically endangered and highly evolutionarily distinct. 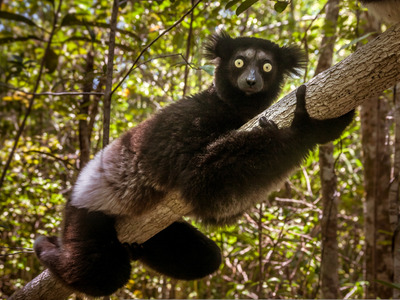 If the indri goes extinct, we will lose 19 million years of unique evolutionary history. In a new study, Danish researchers concluded that so many mammal species will go extinct in the next 50 years that the planet’s evolutionary diversity won’t recover for at least 3 million years. The Earth may be entering its sixth mass extinction: an era in which the planet’s environments change so much that most animal and plant species die out. The International Union for the Conservation of Nature predicts that 99.9% of critically endangered species and 67% of endangered species will be lost within the next 100 years. Evolution is the planet’s defence mechanism against the loss of biodiversity. As habitats and climates change, species that can’t survive die, and new species slowly emerge. But it takes a long time for new species to fill the gaps – and that process is far slower than the rate at which humans are causing mammals to go extinct. Their estimates are based on an optimistic assumption that people will eventually stop ruining habitats and causing species to die out, and the extinction rate will go back down. But even in that best-case scenario, the timeline depends on how quickly mammals start recovering. If the extinction rate doesn’t start falling for another 20-100 years, more species will likely disappear, causing greater diversity loss, the study said. 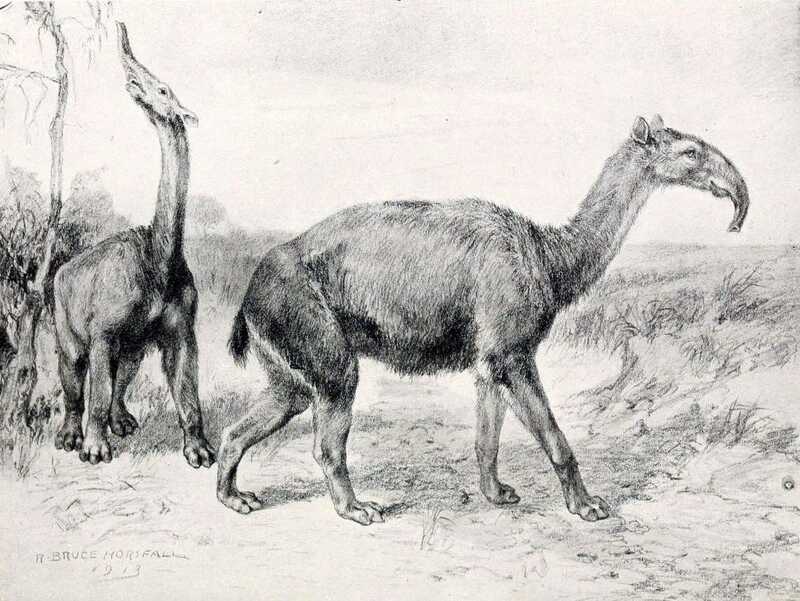 Robert Bruce Horsfall via Wikimedia CommonsLitopterns, like this one discovered by Charles Darwin, were a strange-looking group of prehistoric South American mammals that were not closely related to any species alive today. When they went extinct at the end of the Ice Age, the mammal Tree of Life lost one of its deepest branches. Today, other large animals like the black rhino are facing extinction. Asian elephants’ chance of making it to the 22nd century is less than 33%, the study found. These elephants are one of only two remaining species from a group of mammals that once included mastodons and mammoths.